Industrial Hardfacing has been a Market Leader designing, manufacturing and repairing equipment for the Rendering, Oil Seed, Pet Food, Meat Processing and Recycling Industries for over 50 years. Industrial Hardfacing is a manufacturing company located in Lamoni, Iowa. IHI produces equipment and wear parts as well as custom parts and job shop services for the rendering, meat packing, oil seed, and pet food industry servicing customers throughout the United States and Canada. IHI’s customer base includes companies such as Tyson Foods, Farmland Foods, JBS USA, Smithfield, Hormel Foods, Darpro, ADM, and Cargill, as well as many others. IHI’s products include but are not limited to mechanical screw presses, raw material grinders, pre-breakers, pumps, twin screw presses, expanders, extructor grinders, conveyors, raw material bins, and hopper bins. IHI also supplies wear parts, replacement parts, and rebuild services for all the equipment listed above as well as many more. In 1955, Donald Millslagle, Sr. joined Merritt Brown at Uptown Welding in Minneapolis MN. Don Sr. purchased the company from Merritt Brown’s estate after his passing and renamed it Industrial Hardfacing. At that time IHI was doing work in the Minneapolis area and shortly after Don Sr. began to expand the company’s base into Iowa and surrounding states throughout the Midwest. 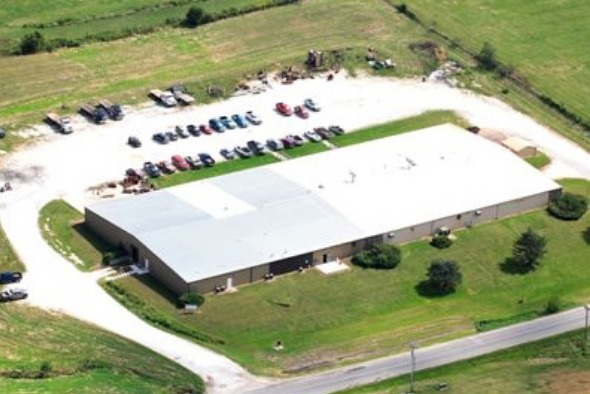 IHI expanded into a second location in Lamoni, Iowa and moved some of its services, manufacturing, and assembly work. Through the years the Lamoni location continued to grow and admin and sales offices were added. Don Sr. retired and the management team of Don Millslagle Jr, Steve Dittbenner, Kenny Millslagle, and Ken Warneke assumed ownership of IHI. Don Jr had moved to Lamoni and was operating the Lamoni facility while the others resided in Minnesota. Don Jr was named President and CEO after Don Sr. retired and would travel to and from the two locations every other week for over 20 years. IHI continued to grow and expand its services and product lines throughout the years. In 2008 Chip Millslagle was named President of IHI after spending 16 years working in several different positions within the company gaining the experience and working knowledge needed to manage the daily operations of the company. In May of 2015, Don (Chip) Millslagle III was made CEO while continuing to serve as president of IHI. IHI is the largest manufacturing company in Lamoni, IA with a total of 42 employees’. Lamoni is a small rural community in southern Iowa. IHI takes pride in being able to support small town America and carries a deep appreciation for all of its employees. IHI continues to this day as a leader and innovator for the industries we serve. It is our goal to continue evolving as the demands and requirements of our customers change and help them succeed just as we have for over the past 55 years.